Blog - Minoko Nail Studio - Best Nail Salon in Vancouver Area: Best Warranty in the Business! MINOKO NAIL STUDIO is the result of 2 years of planning and hard work. Started by Annie and Vivienne, together over 10 years of professional experience, who set out to create an unique nail salon experience that centers on QUALITY and SERVICE. In our blog, we will talk about newest trends in UK and Japan, discuss tips and tricks for taking care of your nails, and share news of our products and deals. MINOKO NAIL STUDIO is proud of our service quality and we have always guaranteed the quality of our work and offered free repairs for any issues that arises due to our workwomanship. We have now decided to go the extra step and offer you the even better warranty! "We now provide free repairs for any breakage or damages, even if you accidentally damaged it yourself, absolutely no questions asked." If you chipped your newly done nails while rock climbing or knocked off a crystal playing beach volleyball, we’ll repair it for you, for FREE! Say goodbye to chipped nails! Our warranty coverage lasts for a full 14 days after the original application, it is not extended after a repair visit. 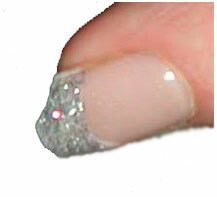 Refilling gaps due to natural growth of nail is not covered under the warranty. Wow! looking so amazing and creative. Best massager chair is very beneficial to recover form tiredness. Salon Hygiene! Is Your Favorite Nail Salon Safe? !